BLACKSBURG, Va., June 5, 2014 – Water is the source of mounting pressures throughout the world. The prospect of water disputes increases as supplies become scarcer and more stressed. Some stressors, such as climate change, call for scientific understanding of the water cycle. In addition, sustainable urban expansion requires an understanding of culture and society. Increasingly, solutions to sharing water require skills involving water science, policy, law, economics, management, and social science. Virginia Tech is taking an interdisciplinary approach to meet the complex challenges of managing water by proposing a new bachelor of science degree that draws upon the resources of five of its colleges. The Virginia Tech Board of Visitors approved the new water degree at its June 1-2 meeting; the proposal now goes to the State Council for Higher Education in Virginia for consideration. Virginia Tech expects to initiate the program in spring 2015 pending final approval. The degree program — called Water: Resources, Policy, and Management — will be unique in the Commonwealth of Virginia. It addresses an expected 19 percent job growth in positions requiring a comprehensive understanding of water issues. 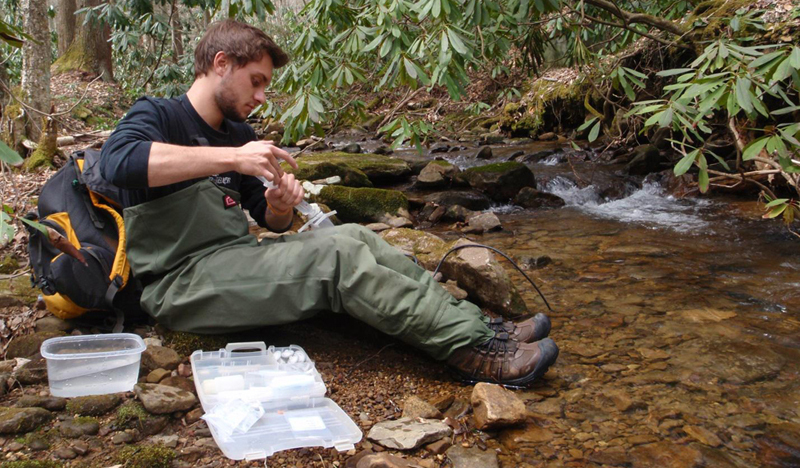 “In order to sustainably manage the resource, understanding the human side of water is as important as understanding the science,” said Stephen Schoenholtz, professor of forest hydrology and soils in the College of Natural Resources and Environment, and director of the Virginia Water Resources Research Center at Virginia Tech. “The new degree program is about water as a resource from the life science perspective plus economics, policy, law, and management,” he explained. Schoenholtz, who will coordinate the program with an advisory committee representing faculty from 10 departments, found widespread and strong support throughout the university for creating the undergraduate degree.